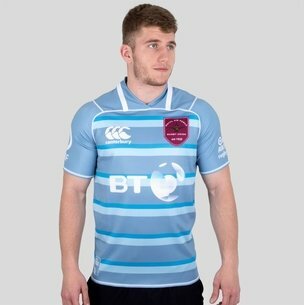 Show your appreciation and support for the Royal Air Force with this RAF XV's 2018 Heritage S/S Rugby Shirt from Canterbury. 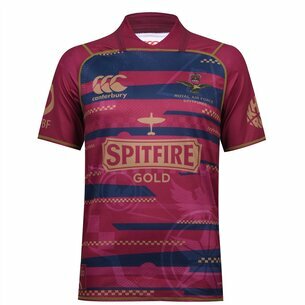 Commemorate the Royal Air Force's centenary year with this rugby shirt. The RAF was created by the merging of the Royal Flying Corps and the Royal Naval Air Service seven months before the end of World War 1. The air force was immediately pivotal in Britain's war effort and was a powerhouse of innovation as both sides sought advances to bring supremacy in the air. The RAF's finest hour was hailed during the second world war. While we rightly remember the many RAF personnel who have died in our defence, it’s also important to reflect on the RAF’s continuing importance in guarding our present and future. The centenary year brings about a chance to celebrate the origins and successes of the RAF, to commemorate those who came before them, and to inspire the next generation of aviators and all interested in aviation. As part of RAF100, the Royal Air Force Rugby Union has continued to build on their history and relationship with the RFU to develop their men and women through rugby. Leadership, teamwork and tenacity are as valuable on the pitch as they are off it, whether in the cockpit, working on the world-leading technology on which they rely, or across the wide range of support functions essential to keep the UK’s airspace safe and secure. Honour the first time since 2004 that the RAF Rugby Union senior squad has beaten both the army and navy crowning them the Inter-Services Champions for 2018. Their previous crowning came in 2015 when they beat the army but could only draw with the navy. 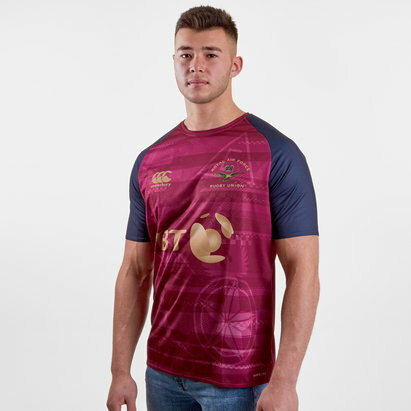 This replica shirt is made from 100% polyester sublimate and has a maroon, navy and light blue striped design. This shirt has gold detailing with the CCC logo on tyhe right and the RAF crest on the left. 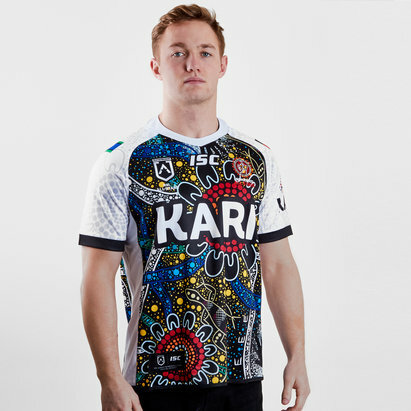 The team's sponsor - BT - is printed across the middle.